Water features make a stunning addition to any pool, adding subtle touches of creativity and beauty that bring a pool from basic to brilliant. Let WestView Pools help you choose the perfect feature for your pool. Deck Jets: Deck jets are an eye-catching, yet affordable, addition to any pool. Deck jets are commonly installed in multiples and spray water from the pool deck into the pool to add a stunning visual, as well as auditory, effect to any backyard. Bubblers: Bubblers are a popular feature, also commonly installed in multiples. Bubblers are jets installed flush in a pool shelf or bench that eject water vertically for a beautiful effect and controllable height. 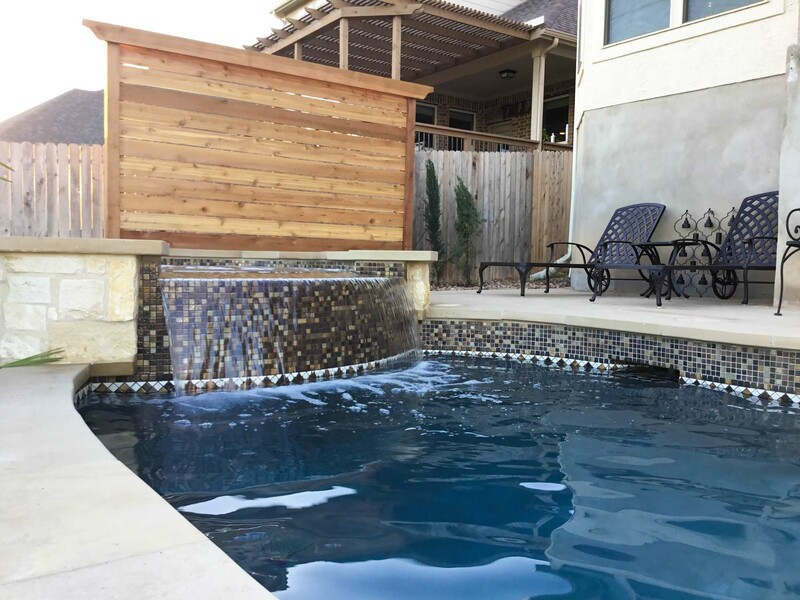 Laminars: Laminars are installed in pool decks and produce a single stream of undisrupted water to add luxurious elegance to any backyard environment. Water Bowls: Water bowls are an attractive addition to any pool. Usually elevated to spill over into the pool or spa, water bowls are available in a variety of materials such as concrete, bronze or copper. You can choose the right product to fit your need and price point.